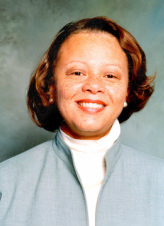 Gail D.H. Cansler, M.D., F.A.C.O.G. Please let me introduce myself. I am a Chicago native, graduated from Loyola University and the University of Illinois Abraham Lincoln School of Medicine. My obstetrical and gynecology residency training was at Michael Reese Hospital and Medical Center in Chicago. I am "Board-Certified" and a Fellow of the American College of Obstetrics and Gynecology. I have been practicing in the Chicago Southland for over 25 years and previously had my office in Matteson. I relocated to the St. James Professional building in the summer of 2007. I have provided quality and compassionate care to my patients for over 25 years. I have received awards from St. James Hospital as one of the top 10 physicians for patient satisfaction in 2008, 2009, 2010, and 2011. I am a Tricare provider in addition to BxBs, Cigna, Aetna and HMOI (via the St. James PHO). We have late afternoon and Saturday hours. We also provide same day appointments for urgent clinical problems. Most patients are able to book an appointment within 2 weeks. We accept many insurance providers and also accept self-pay patients. Call today to schedule an appointment or leave us your information, and we will contact you within 3 business days.